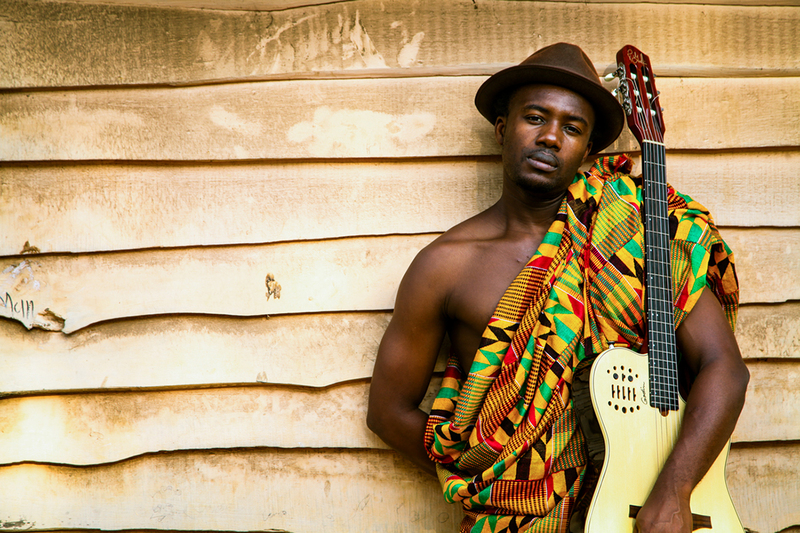 Spiraling electro-acoustic guitars, intricate rhythmic grooves, lush horns, a distinctive Ghanaian sound locked between folk and a throbbing urban Highlife beat! A wonderful act we just discovered at Visa For Music in 2017: Kyekyeku is seen as a new generation of young lively Ghanaian musicians that is combining musical traditions from roots Palmwine (A style of Ghanaian folk) Highlife and Afrobeat; performing live in new and exciting sounds. 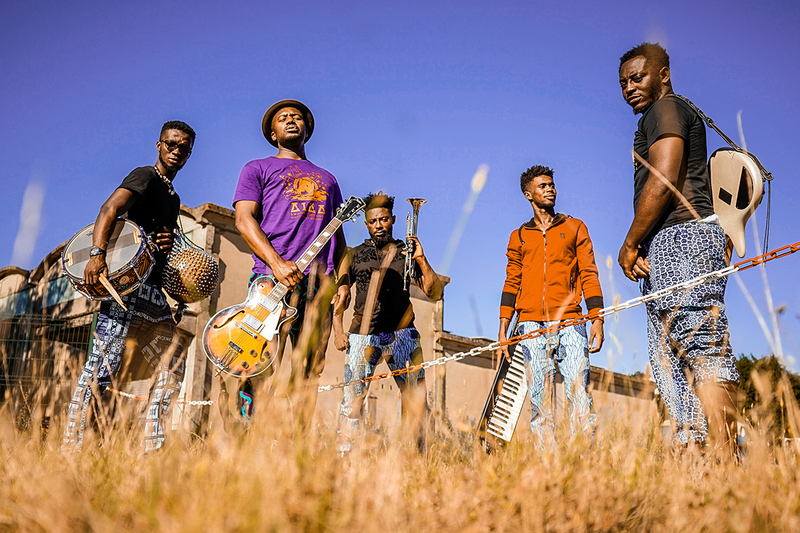 Kyekyeku creates a unique high-energy sound mixed in with Highlife and Afrofunk of fellow countrymen Ebo Taylor and Pat Thomas erupting in a pulsating Afro-urban musical broth. With lyrics reminiscent of village recreational songs, protest songs, love poetry and old African spirituality, his music touches on themes concerned with the well-being of Africa and the world society. 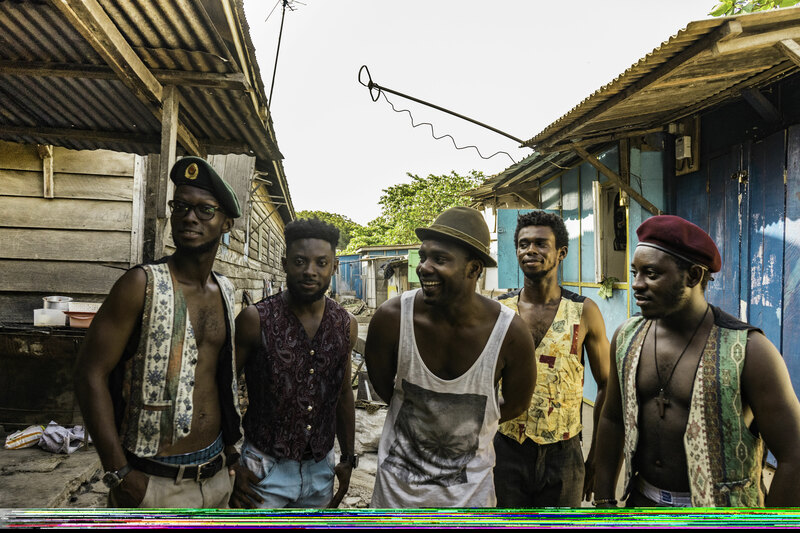 Kyekyeku escorts you on a soulful journey to the enchanting lands of West Africa in a Palmwine meets-Highlife-meets-World Grooves fun moment! 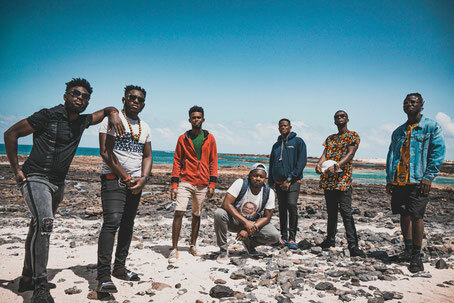 The young Ghanaian musician has collaborated with world-renowned musicians including Koo Nimo (GH), Peter White (UK/Jazz), Pat Thomas(GH), Ambolley(GH) Thais Morel (Brazil), Mayra Andrade (Cape Verde), Blick Bassy (Cameroun) etc.